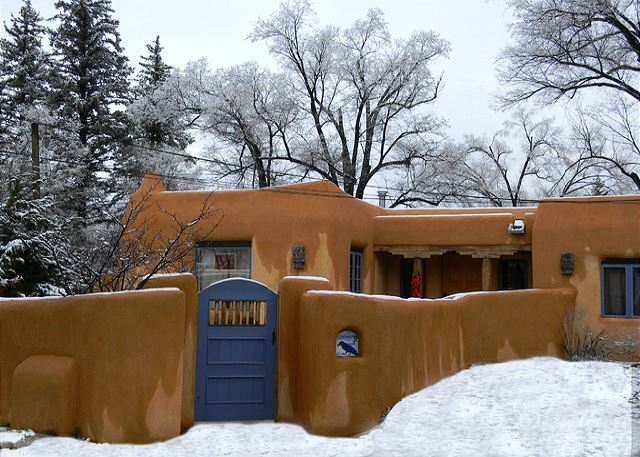 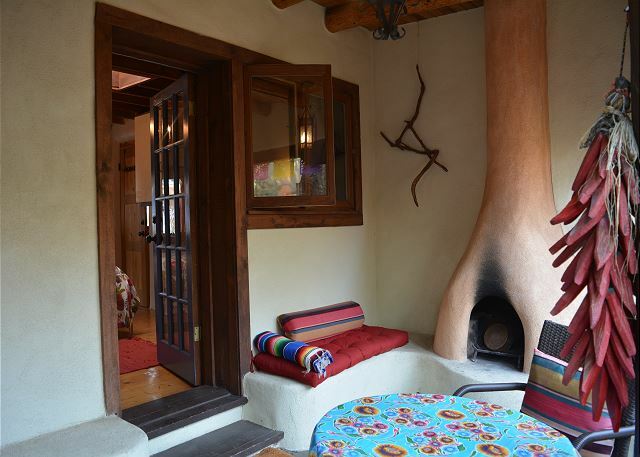 Located in the historic 'Silk Stocking' area of the Town of Taos, Casa Azul offers a taste of what historic 'Adobe' architecture feels like. 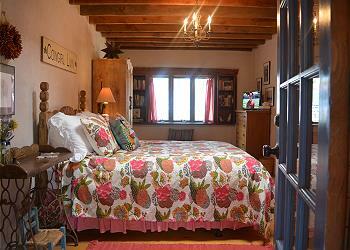 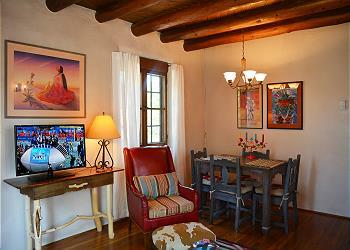 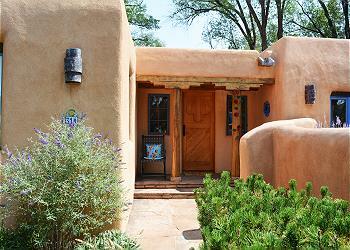 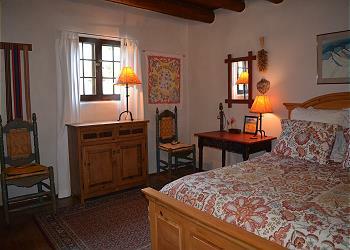 A truly authentic 'restored adobe', Casa Azul has charmed many guests throughout the years. 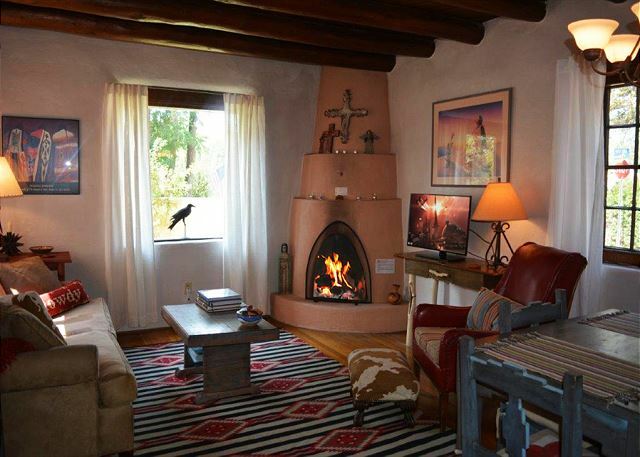 An adobe private wall gracing the tastefully landscaped yard offers guests a sense of seclusion while being in the heart of town. 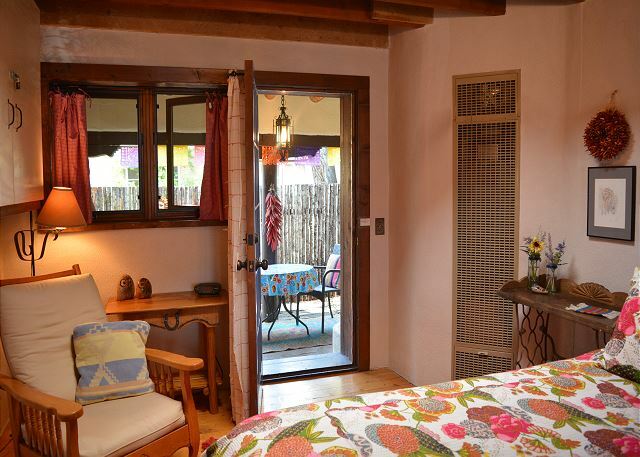 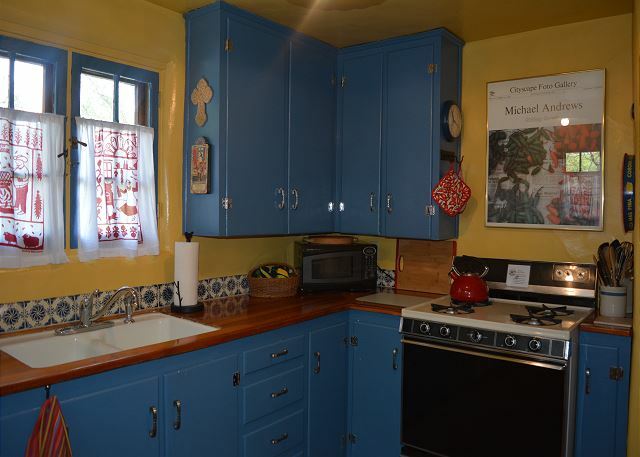 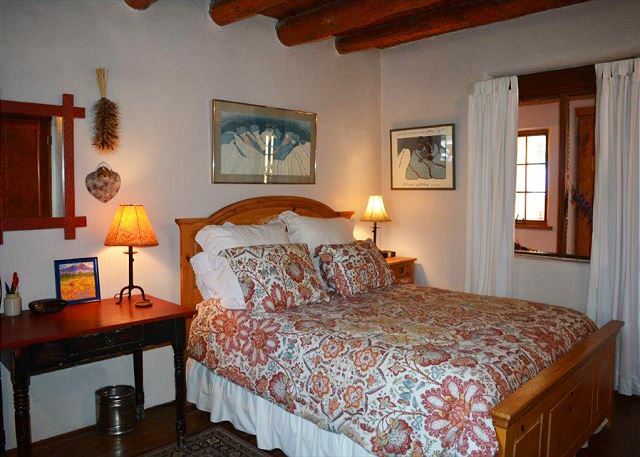 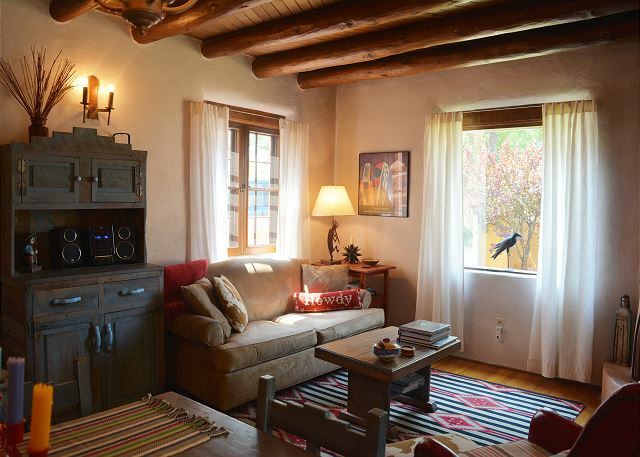 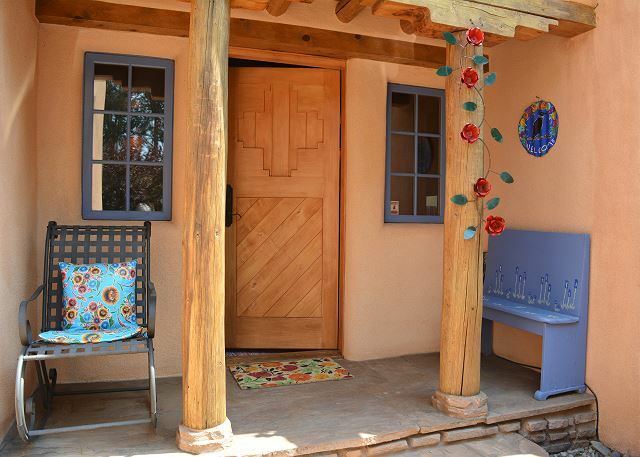 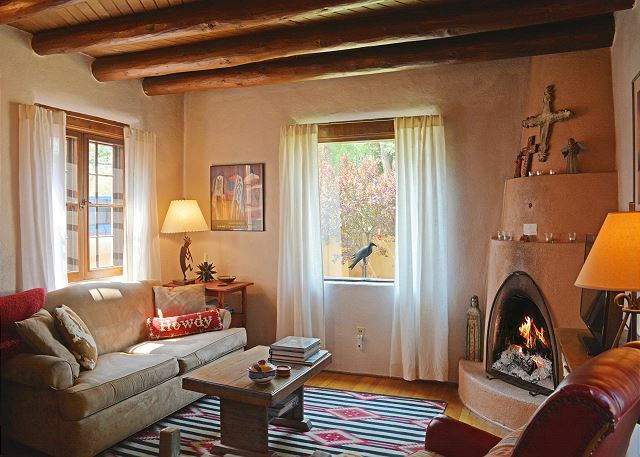 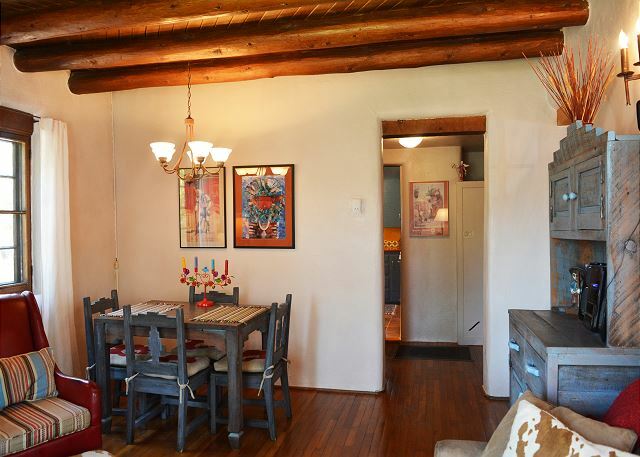 An easy walk to town and the Taos plaza make this lovely casita well located for the guest who chooses to experience living in the enchanting Town of Taos, NM.